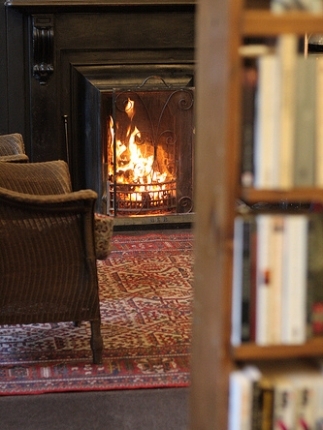 I walk through all kinds of homes every week to write home reviews for my job as a freelance journalist. I’ve seen lots of lovely display homes and have met hundreds of people who live in some pretty amazing houses. Some of these people have been in the enviable position of being able to build (or restore) their dream home. 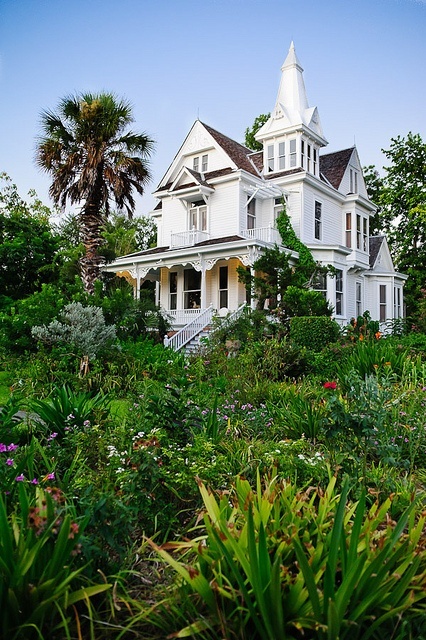 I once did a riverside mansion in Applecross that was on the market for $25 million. It was built by a very lovely FIFO worker for himself and his wife. 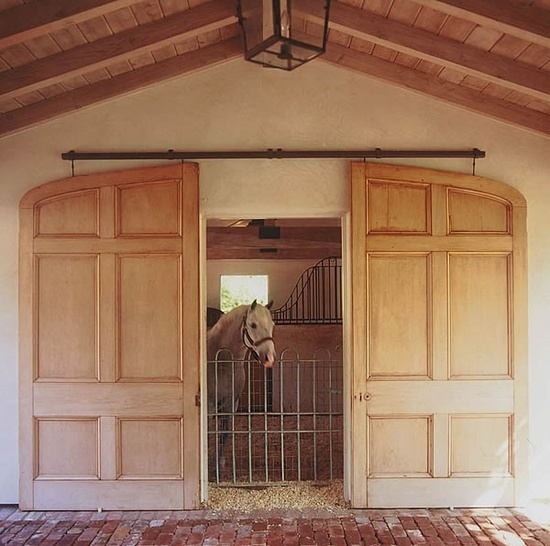 His idea of a dream house feature? Two toilets, in separate rooms, in their lavish ensuite. Not just his-and-hers vanities, but his-and-hers cubicles. “We knew we had to build two toilets,” the husband told me. “It’s the key to a good marriage,” his wife chipped in. Fair enough. That said, a man I once met who had built his dream house in Hillarys had eight bathrooms - for a family of three! No-one needs eight bathrooms! 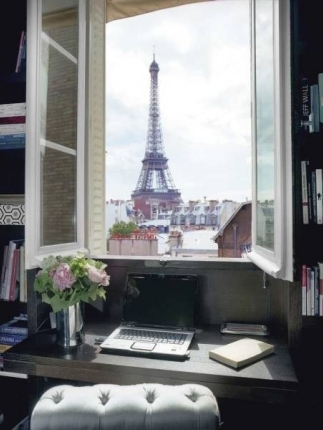 Because who wouldn't want a tower? Or a belvedere, if you will. What a good place to get away and sulk or escape from bratty sisters who want you to take them trick-or-treating, like in Hocus Pocus. Look familiar? 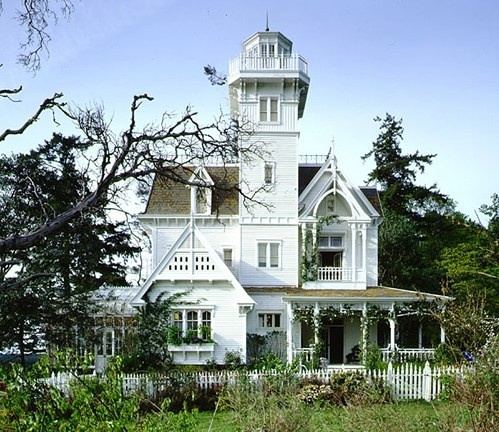 It's the best part of Practical Magic - the house, with widow's walk atop the tower. I’m not fussy, I’ll take either of these. Give this book a Man Booker. This book spawned my lifelong obsession with secret passages, bookcase doors and hidden rooms. 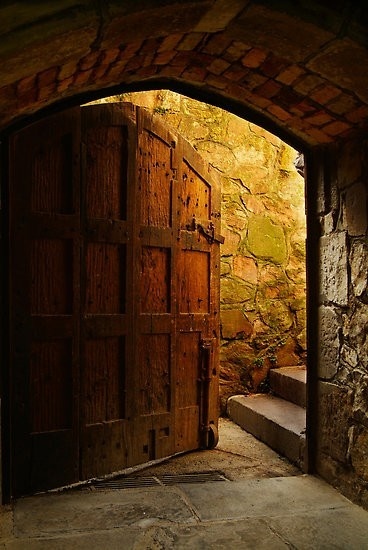 It had me knocking on all the walls in my parent’s 1950s house listening for hollow noises (ok, I was seven) and dedicating a Pinterest board to secret doors. For those of you who haven’t read the gem that is The Ghost At Dawn’s House, Dawn and her family have moved into a really, really old farmhouse in Stoneybrook with a barn out the back. Dawn was my favourite BSC member by the way. Because she was ‘an individual’. I also liked Stacey who made me want to have diabetes (did I mention I was seven. Also weird). 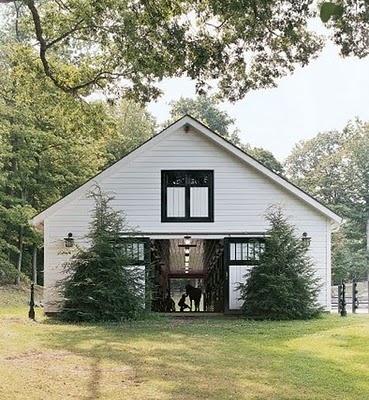 Dawn had often wondered if her house could have a secret passage, and one day she goes out to the barn to read and falls down a trapdoor into a secret passage. 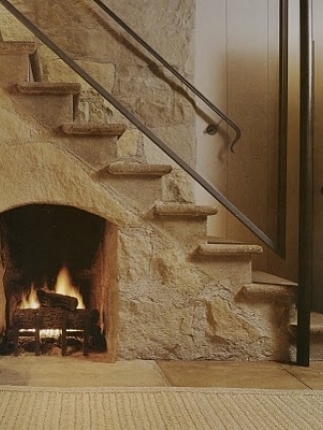 She grabs a torch and finds out that the underground tunnel goes up to the house and connects to a panel door in her bedroom wall. Creepyyyy. Dawn and her parents suspect that the secret passage was once part of the Underground Railroad, which I have to say I actually thought at the time was a tiny little underground train tunnel (seven!). Over the next few weeks Dawn starts hearing strange noises coming from the passage and finding weird old things on the floor. Then Dawn finds a book that says her house was the home of a 200-year-old dead guy called Jared Mullray who went freakishly missing one day. And she starts freaking out that the house is haunted by the ghost of Jared Mullray. As it turns out, one day Dawn discovers that eight-year-old Nicky Pike has been secretly hanging out in the secret passage to hide from his mean triplet brothers and the noises Dawn heard were just Nicky. She and Nicky have a talk with his parents, and they agree that Nicky can keep visiting the secret passage as long as he always tells a babysitter or a grown-up where he’s going. It will probably be only a few years until little Nicky is drilling holes in the wall of the secret passage to watch Dawn undress, but this is not mentioned. All is well and the Babysitters Club is having a sleepover and watching Sixteen Candles at Dawn’s house when at 1am comes a rapping from inside the secret passage. Obviously not eight-year-old Nicky Pike. The babysitters drag their sleeping bags to the lounge. 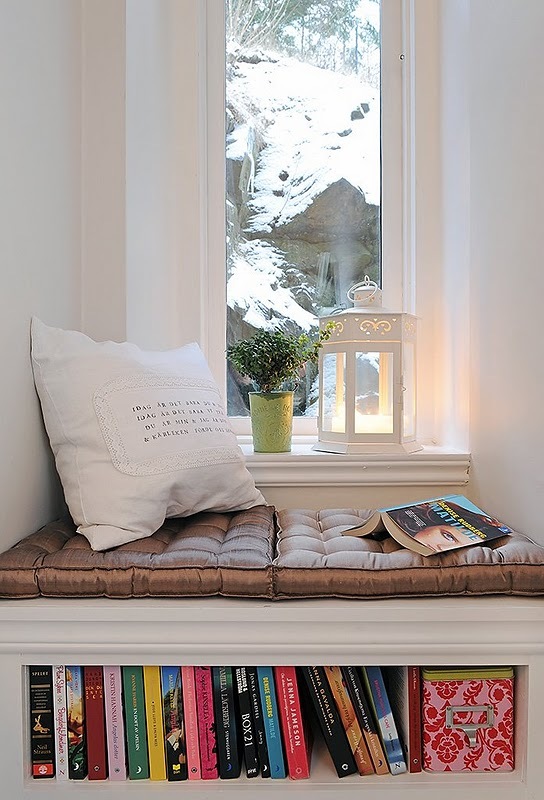 The book ends. This stuff is literary gold, my nerds. 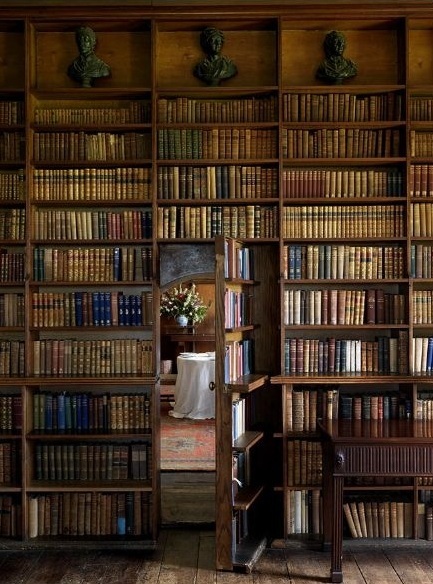 My obsession with secret passages and secret doors has continued throughout my life. When I was a teenager I became obsessed with the secret room part of Tomb Raider. The amount of HOURS I spent making Lara run full-pelt through the hedge maze only to miss slipping through the sliding door to the secret room by a nanosecond. I nearly wept tears of frustration. But the elation when I finally made it! Ahhh. Like the joy when I figured out I could lock the creepy butler with his stupid rattling tray in the freezer. I did feel guilty about it though, afterwards. Anyway. 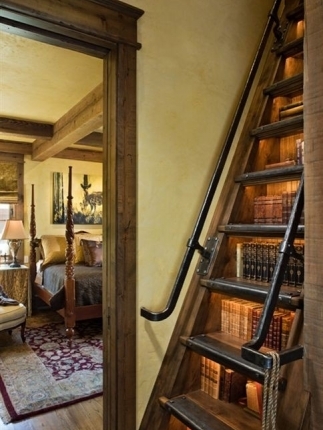 My dream house doesn’t have to have a secret passage. A secret room will suffice. 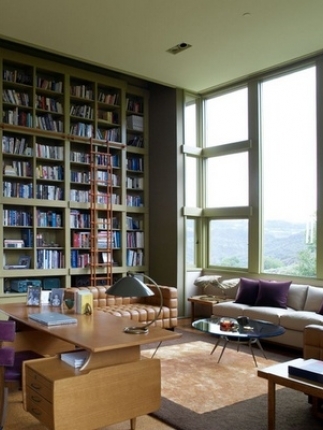 One very cool Irish home. This may come as a shock to those of you (with dishwashers) because we don’t have one. We have an old original jarrah kitchen and Mr Nerd says it would be too hard to fit it in the cabinetry and also that WE DON’T NEED ONE. I know, what the hell. 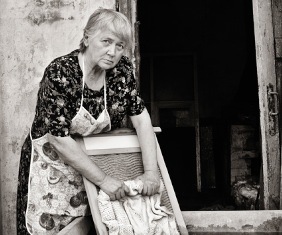 It is practically stone age not to have a dishwasher. It would be the equivalent of me going round to a friend’s house and seeing them scrub clothes on one of those old wooden washboards. Depressing. How my friends see me. So yes, I want a dishwasher. Clearly when it comes to dream homes I don’t ask for a lot. 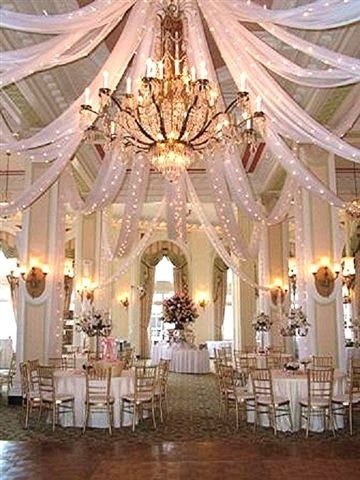 This would otherwise be known as the party room and we would have our themed parties here. It would have polished parquetry floors so we can put socks on and slide on them. I’ve seen a couple of old Perth houses that had ballrooms. One was Le Fanu in Cottesloe (you know the crumbling old ruin on Marine Parade?). Falling to bits but very cool. Somewhere pretty and no psycho neighbours please. I want to live in a nice community. Cottesloe and Bicton by the river are lovely spots. Highlands would do nicely. I’d live close to parks and nice walks so I can take Nala for runs otherwise she’d drive me mental. Because it’s better than coral. And you can role-play the Romeo & Juliet scene. Anyway Naomi and I often drew houses with Harry Potter-esque features like secret tunnels and stone walls. 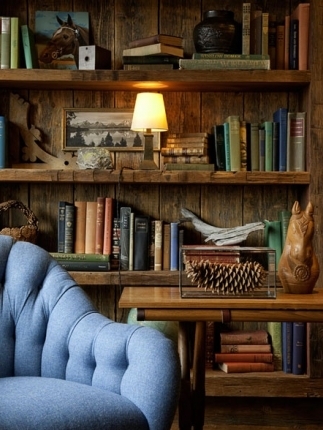 I love Harry Potter and even have a Pinterest board for Harry Potter home inspiration. 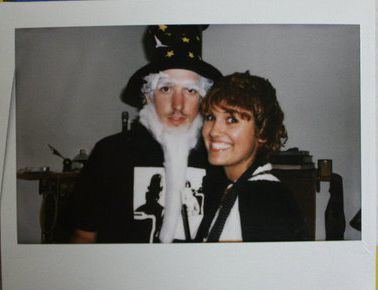 One time Mr Nerd and I even had a giant Pictionary party with a wizard/Harry Potter dress-up theme. Clearly I am Ron Weasley. Mr Nerd is… I don’t know who Mr Nerd is. 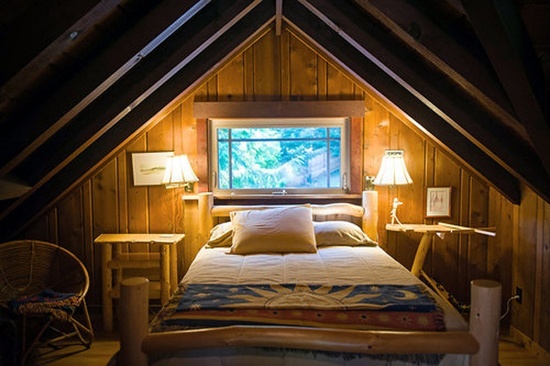 I love all the visions that Harry Potter books conjure up – the old framed pictures and fireplaces and beds with bed warmers placed by little house elves. I don’t need to explain. But to be honest I would actually just settle for a closet that can hold all my clothes. Right now they’ve spilled over into the closet in the spare room. So I can have a pony at last. Belle got to have one in Beauty and the Beast. 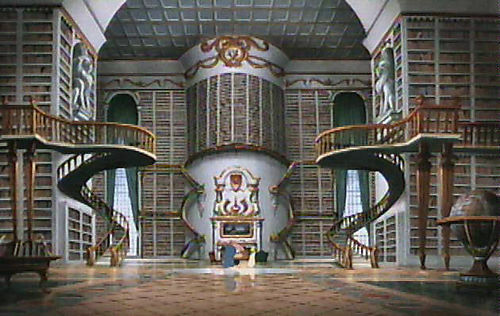 ABOVE: The library in Beauty and the Beast. 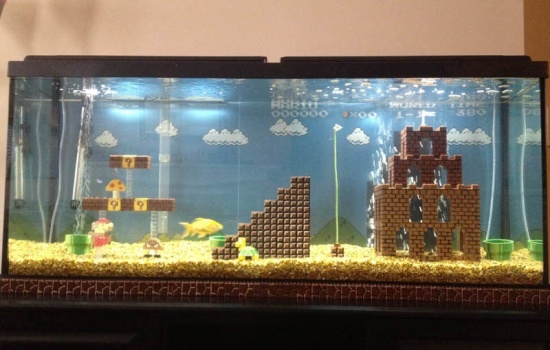 So nerds, what would YOU have in your dream house? Who was your favourite BSC member? And will anyone say Mallory? This post was produced in partnership with Stockland. Ohhh stay classy!! Very nice. 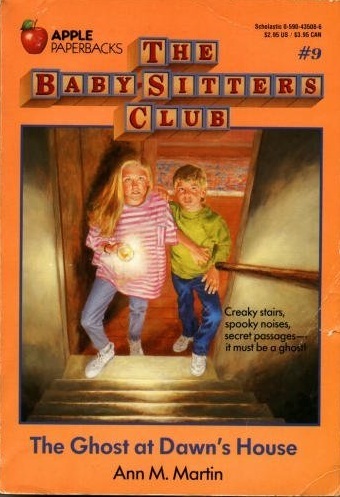 The Babysitters Club... oh lord (as Claud used to say). This brings back memories! No, Mallory goody two shoes was not my favourite, mine was Stacy, the badass mathmematician. 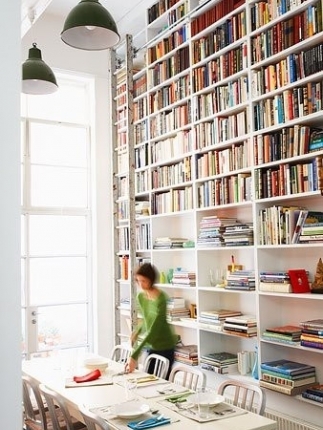 I always wanted a bookcase with a ladder too. Stacey was my favourite character too (and Dawn, when she was't being so snippy!). Maya, I really love your writing. REALLYYYY LOVE IT. I'm probably as big a fan of you as you are of secret passages/BSC. You'd better be afraid if I start to stalk you or smth. Mwahha, just kidding of course (this is reverse pscyhology. I think.) 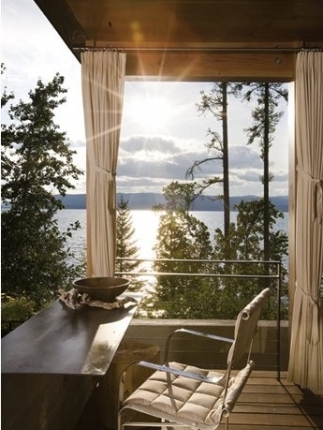 I have never given proper thought to what my dream house would be like. One thing for sure, I wouldn't mind NOT having a dishwasher. I have one in my home now, and I don't use it at all (Uhm, would you like to have it?) I think my feelings towards the uselessness of a dishwasher stems from working in the food industry where I still had to scrub off dirt and grime before/after popping them into/out of the dishwasher. Double the work!! Whatever for!??! A feature that I would really love though is a coloured door! Like blue! Or green! And There'll be wide panels. I want everything wide on the outside, with a coloured door - like BAM! Bet you weren't expecting that! But Mr Pocket hates the idea of white outdoor walls. He prefers red bricks instead. We might need to properly discuss on this when the time ever comes. I also NEED NEED colours. Colours everywhere! Colours like a unicorn just threw up from food poisoning. I also would prefer a small house as opposed to your grandeur mansion. Unless I have domestic helpers to look after the house. Small houses are just so much easier to clean - my home is currently just slightly bigger than an apartment with 4 bedrooms and already sometimes I yell in my head at how painful my back is from housecleaning. 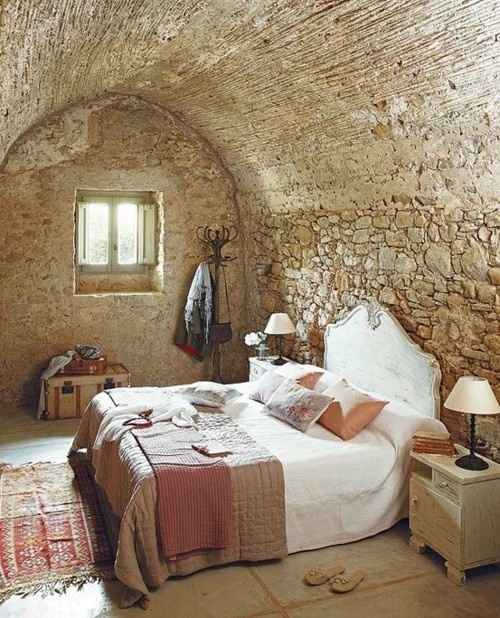 A nice and neat rustic garden would be nice too, with fairy lights, and the whole enchilada! Lastly, my dream house must have toilets with bidets - if possible, kind of like the ones that those Japanese folks have, with a seat warmer and music and everything! Really enjoyed this post! 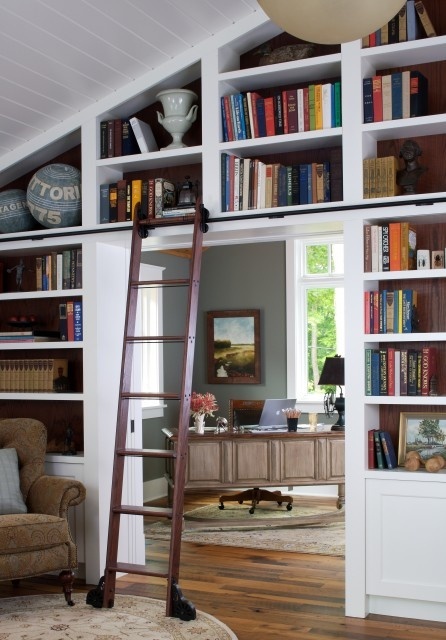 A library with a swinging ladder is the ultimate. Secret magical beer!! That sounds as good as a giant minion cake. And a big woodfired pizza oven in your nice outdoor entertaining area. It was a sad day when I parted with my collection of Babysitter Club books. And board game. 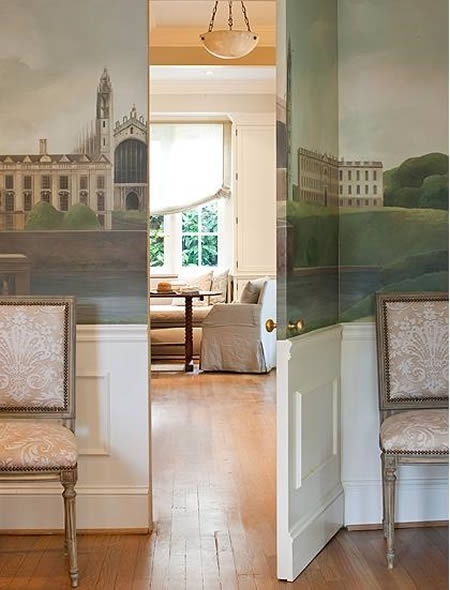 Oh yes I had both I was that cool :) I think you've just about covered it, I love all of these rooms! Ahaha... Michelle I had the board game too... but no-one ever wanted to play it with me. Waaah. But in any case I always used to get too embarrassed to answer the questions about boys and crushes. A lifetime of daily teasing would ensue.